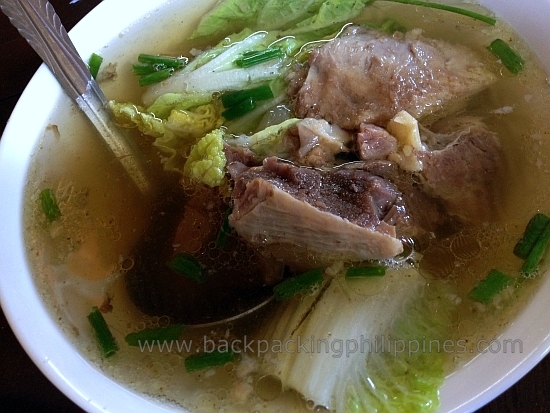 One of Tutubi's favorite bulaluhan was Nita's Bulalo on Evangelista St, Bangkal, Makati where you can get free refills of steaming hot bulalo soup from waiters with takure (kettle) but Tutubi hasn't set foot on the frugal food haunt for years. At least once a month, Tutubi comes home to his hometown Paete, Laguna via Rizal province that's why he's tried most restaurants in Rizal you can see along the national highway and Manila East Road that connects east Metro manila to the provinces of Rizal and Laguna. Bulalo Bah's version of bulalo is more on the meaty side instead of "utak" (bone marrow) and litid (tendons) but the subtle taste of Tutubi's favorite comfort food is there. Tutubi has been to this eatery twice already when he's looking for "fast food" at budget-friendly price. 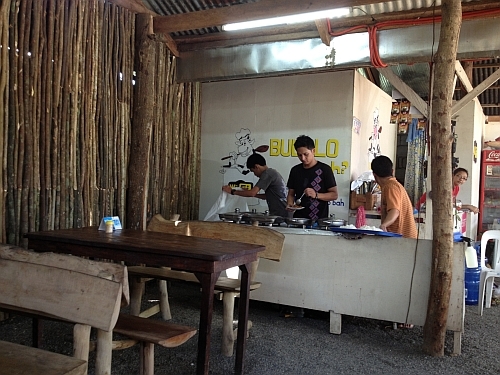 The restaurant/eatery serves at least four dishes in addition to bulalo like adobo, giniling and some bicolano cuisine e.g. kinunot na pagi (stingray in coconut milk), and laing. Budget per person is just about PhP100.00 up where you can order a bowl of bulalo, two viands, rice and a bottle of coke. Looking for Bulalo Bah? click here for online map via OpenStreetmap (partly maintained by Tutubi) of Tanay, Rizal a few hundred meters away from Sampaloc junction and just a few meters from Kata Cafe. as always, this is not a sponsored post. Tutubi paid for his bills the two times he visited the place.